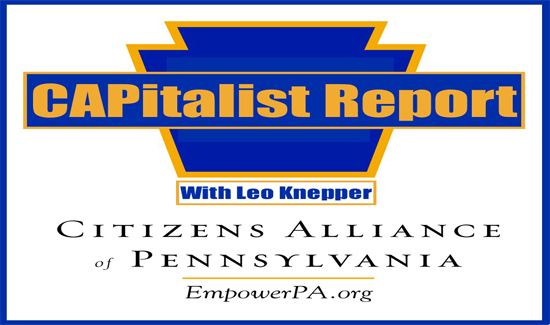 The integrity of Pennsylvania’s election system along with Governor Tom Wolf’s carefully cultivated image of government transparency have both been called into question as state election officials and even the governor himself have stonewalled legislators in the wake of a surprise cabinet resignation days after voter irregularities became public. Just prior to the November 2016 Presidential election J. Christian Adams who served in the voting rights section of the U.S. Department of Justice before becoming a fair election advocate appeared before the Pennsylvania House of Representative’s State Government Committee. Adams revealed a number of foreign nationals, legally in the country but not yet U.S. citizens, had self-reported they had registered to vote and in fact some had cast ballots. Adams’ testimony opened the door to further scrutiny which found at least 220 foreign nationals had illegally registered to vote in the City of Philadelphia. State election officials confirmed the problem was not limited to the city of brotherly love, but that statewide over 1,000 foreign nationals had self-reported that they had illegally registered to vote and/or voted. In the big picture that number might seem to be small, but the key words here are “self-reported.” Some self-reported in an effort to clear their record for eventual U.S. citizenship. But, what is not known is how many legal foreign nationals and illegal aliens are registered to vote and casting ballots in Pennsylvania elections. In an effort to get answers State Representative Daryl Metcalfe, who chairs the State Government Committee, asked the Pennsylvania Department of State the agency that oversees elections if there was a procedure in place to cross-check the state’s voter registration rolls with driver licenses issued by the Pennsylvania Department of Transportation. Foreign nationals can legally obtain a driver’s license, but their status as a non-citizen is so noted in the application process. To date the Department of State has refused to answer the committee’s questions and has not verified whether or not such cross-checking has occurred. Metcalfe further pointed out that there is no procedure in place for verifying U.S. citizenship in the voter registration process. Thus there is no way of actually knowing how many illegal voters are on the rolls. Adding to the intrigue was the abrupt and unexpected resignation of Pedro Cortez. Cortez served as Secretary of the Department of State, a position he held in both the Rendell and Wolf administrations. Cortez’ resignation came days after media reports spotlighting the foreign national problem. In what Metcalfe termed “suspicious timing,” Cortez was gone. So the governor and his administration have a history of failing to take prudent steps to ensure the integrity of the state’s election system. The Department of State’s refusal to comply with the State Government Committee request for information and the governor’s lack of candor over the Cortez resignation have added at least to the perception that something is amiss in Penn’s Woods.